According to LinkedIn, VaynerMedia staff has only grown 3% in the past 2 years. Bob I appreciate your 2 cents and would love to get to know you, in face if you’re up for it, I would love to invite you to come by gary@vaynermedia.com and get to know each other and if you want to talk about VM and it’s growth and strategy or I would love to know more about your career and P&g and wPp stories. I really appreciate your two cents and feel we should create context, if you wish. On a purely visceral level, that guy always annoyed the hell out of me. Nat I appreciate the article and agree with many points, I replied to you on twitter with a video because no context would be lost. But a few points from me. Thank you for saying this Jon. 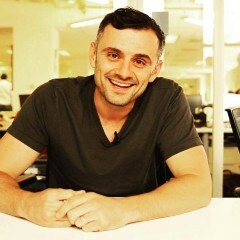 Gary Vee is very successful, and all.